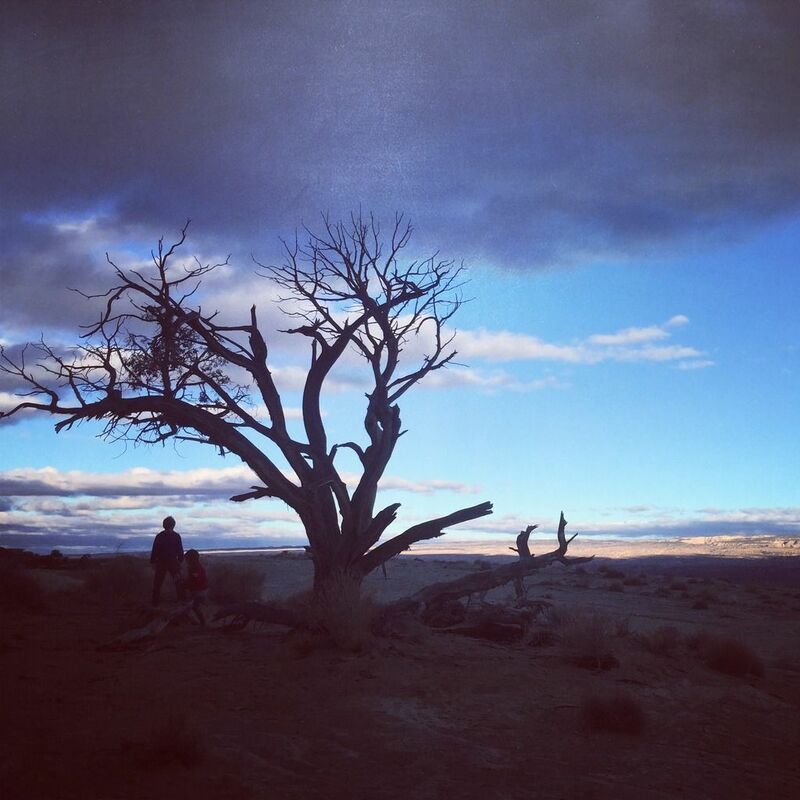 It has been too long since I've written, unrusty and well-oiled, to describe what I feel when my body gets near the San Rafael Swell. I think I have tried and I come off sounding somewhere between totally stoned and possibly manic--which, I may say, its probably not a bad place to be. But the land does something prime to me, what I imagine people feel when they "come home". I think about those rocks, deep canyons, empty vistas, strange formations and my inner emotive system become anxious with desire and exhilaration. I think I might be in love? When I am not there I'm quite often in bed with a yellow highlighter and my withered map--tracing all the lines my eyes haven't absorbed in real life. Not just the swell, but the Delta desert, and the carves of the Colorado River, the muddy channels of the inexplicably named Green River, and the high elevations of the Flaming Gorge region. There is so much to do. I do quite often feel like I am running out of time. Along that stretch of treeless land from northern Utah into Wyoming on your way to Bear Lake there are historical markers and every time I pass one without stopping in every little town (Woodruff, Randolf, I see you and I love you) I feel an ache. The older I get the hungrier I am to know about places--how the marriage between geology and weather produces a progeny of plants, animals and people. I have stood in ancient lake beds, sifted sands of a million years, grazed petrified wood, picked shiny black obsidian from pastoral watering holes in the west desert, felt the whoosh of the thin air in the alpine country of my own backyard. Alone, these adventures are enough, but I get to share them with the man I love and the children we created. And all together, it is more than enough.